Is your current ignition not letting your Vincent reach its full potential? Difficulty starting, especially when the engine is hot? 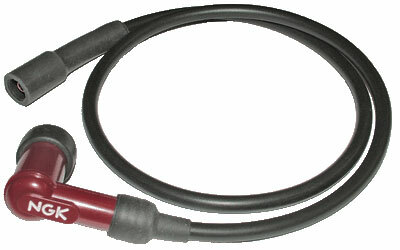 High-performance, ignition system for Vincent Comet single cylinder motorcycles with 12 volt electrics, positive or negative earth. Optimised for high spark energy and low power consumption. SMART-FIRE completely replaces the original Lucas/BTH magneto. 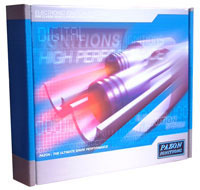 The result is improved performance, excellent starting, improved idling, smoother running and low maintenance. Magneto replacement housing consists of aluminium alloy body and cap, steel shaft, fully supported on two large ball-bearings & garter seal. It uses the original drive gear or sprocket and requires no modifications to the engine. Please note: this system is not self-energising. This system does not include battery or drive gear. System developed in conjunction with technical engineer, Kirby Rowbotham. 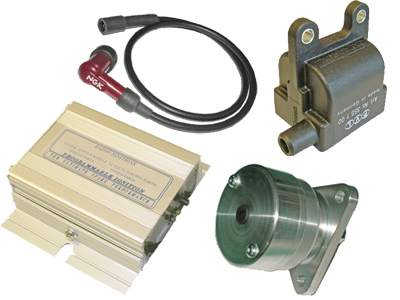 Is your current ignition limiting your engine performance? The active dwell control maintains the right energy in the ignition coil for optimum performance, whatever the engine rpm. 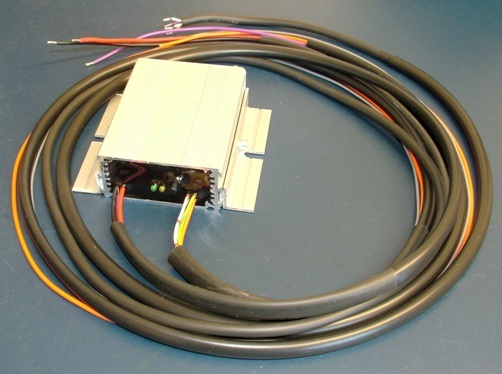 Whereas magnetos can give inconsistent running, especially when hot, the Smart-Fire ignition module's intelligent software maintains consistent spark energy. Have you found setting the timing with other ignition systems a bit 'hit and miss'? Simply set the piston to TDC on compression, then position the trigger unit with the aid of the static timing light. The process is explained with step-by-step colour photos in the supplied booklet. Once set, the timing will automatically fire fully retarded at cranking speeds, then quickly reaches a full advance point suited to modern fuel. Also, the timing won't ever go out of adjustment. Concerned about damage to the electric start mechanism? The Smart-Fire system will stay on time as low as 7 volts, so is ideal for electric starter models that can suffer from volt drops when cranking. Poor dynamo charging system? Concerned about ignition's drain on the battery? The Smart-Fire system draws less than 7 watts at tick-over. 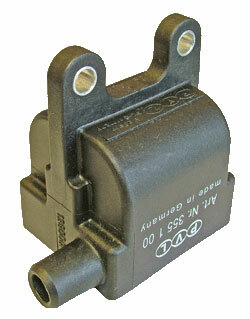 Pazon's design incorporates a miniature resin encapsulated ignition coil. This low inductance coil is energised for a very short period of time, meaning low power consumption. At the push of a button you can set the rev-limiter to limit the engine speed from 3000 rpm upwards. Can be reset just as easily at any time.